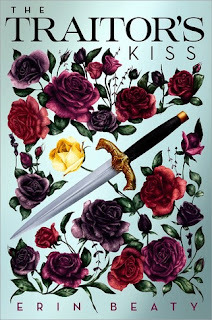 The Traitor's Kiss by Erin Beaty was a interesting read, when I had heard that it was a Mulan retelling my heart was super excited. I grew up watching Mulan so much that my VHS broke... YES my VHS. Going into reading Traitor's Kiss I was a little worried because before I had received the novel I noticed a lot of people were not content with it, but this book did hold its own. I kept my eyes open, and I did find a couple problematic things, however my overall consensus was that this book was a good read. Let's start off by discussing the actually story line and the likeness to Mulan. It was interesting to find some comparisons routed in the story, as well as the twists. I think that the story generally followed the idea of of Mulan, with the fact of not wanting to be forced into a marriage and having a strong headed female. As well as the whole idea of a hidden identity played a role in this novel. The one major problematic thing is that this was a white retelling of Mulan with the cultural ideals of that of a Chinese background. So though this was a huge disappointing factor as a reader and lover of Mulan, the rest of the storyline had complexity and coherence as well as a impact on me as a reader. The Setting was also well played out to follow the motives of the storyline. I found it to have meaning and if you payed attention the setting did really play an important role in the overall make up of the story. I like how Beaty describe the setting and the events happening. She did so in a way that allowed for readers to stay connected to both the plot and setting. I think that I personally was never once lost throughout the entirety of the novel. The overall world building was just really well written and put together in a crafty way. The romance in this story was another really great factor. What made me really quite happy was that this book didn't have an insta-love romance. The two main protagonists are able to teach each other new things, as well teach each other things. I found myself pinning over the couple early on in the book and wanting them to last. It was a very well written romance to go along with a the storyline. It also did not feel like the romance was the main focal point, which was nice. Overall, though this book had it's problematic moments, I did find goodness within the story. 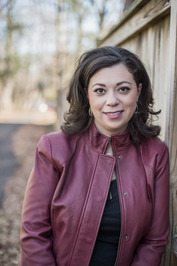 Erin Beaty created a masterpiece of a world with her unique world building skills. As well her inclusion of romance was an added bonus. I would recommend this book to those who loved Mulan as a child and I would rate this book a 4 out of 5 stars.